Brought you by Blinkist. Go to Blinkist.com/boost to start your free 7 day trial. Success in life happens on top of a solid foundation of basic needs. In 1954, Abraham Maslow released Motivation and Personality. He expanded on his Hierarchy of Needs theory. 1) You must provide for your physiological needs. Food, clothing, shelter, money, and more. 2) You must feel safe. Personally, emotionally, financially, health and well-being, and against accidents and illness. 3) Socially you need to feel a sense of loving and belonging. 4) Esteem and the desire for acceptance, respect, and valued by others is your next step. Maslow said, “What a man can be, he must be.” Self-actualization requires mastery of your previous needs. 6) Self-transcendence removes you from ego and begins your focus on the greater good. Bought to you by HelloFresh. Get $80 off your first month by going to HelloFresh.com/BOOST80 and enter BOOST80. Do you ever wake up in the morning and jump straight into your To-Do list and forget about what you want? With so much on our plates, it can be easy to lose track of the big picture and lose track of where you were heading. That’s why we always do our Homework on Monday. It’s a powerful way to ‘Overlay’ your what is essential in your life while you get the day-to-day stuff done. 1) Check in with the ‘Roles’ and ‘Goals’ you have in your life. Do you like what you have or need to make a change? Decide the ‘next’ action that you will take this week. 2) ‘Hold Space’ on your calendar to move your ‘Roles and Goals’ in the direction of your dreams. Don’t let day-to-day challenges through you off track. 3) No matter how busy you get, review your homework throughout the week. Focus on your future. Tomorrow’s happiness is built on a foundation of today’s focus. Don’t lose track of that. 1) Decide what you want. You’ll need the help of others too so start thinking about building your idea into a form that others will understand. 2) Build your dream. Stop trying to make it perfect. When you are 70% ready to move forward, it’s time to get busy. Decide. Build. Sell. Repeat. Don’t do anything else until you get what you want. What if three words could allow you to communicate better and reach your goals faster? 1) When asked by others to help them reach their goals it’s time to agree and defer. As an example, say, “Yes, I can help, AND let’s talk about it later when I finish what I’m doing. Watch how folks leave you alone. 2) Inserting the word ‘Yet’ into any conversation will allow you to stay positive and keep your momentum. For instance, saying “Not yet. I’ll let you know when I’m ready” will do wonders. Success and happiness arrive when you stay focused and on track chasing your goals. Prioritize yourself and defer others. I'm sure you've heard the saying, "It's not WHAT you know, it's WHO you." Collecting connections by networking and meeting people is something everybody does. Most are hoping that someday, maybe, hopefully, those connections will lead to success. Focus your time and attention on people who will allow to you answer YES. You’ll release yourself of a lot of frustration and succeed faster. Are you having difficulty managing your time? With millions of years of civilization, you have to wonder why we still struggling with time. 1) Every day has 24 hours. That’s enough time to do anything. 2) You will always have time for what is important to you. Focus, my friend. 3) Scheduling space in your day for your tasks is your number one priority. 4) Completing your scheduled tasks is your second priority. Keeping going until you finish your mission. 5) Avoid people that steal your time. They will be persistent. Hide if you must. Do you ever wish you had a less complicated life? If you are not flying an airplane or performing brain surgery - you are likely overcomplicating life. #1: Practice the law of “Good Enough." Perfectionism is over-rated. It will waste years of productive time that you could use to enjoy life. Rule #2: Say “No” and repeat it. Make that little two-letter word your default answer for everything. Say “Yes” to what you love. Rule #3 - Consider that everything in your life is over-complicating your life. If in doubt, stop, drop, and roll on down the easier road. Why not show everybody how sophisticated you are. Are you living a life of comfortable misery? It's easy to settle into day-to-day that is not exactly what you want. It’s not bad. It’s not good. Are you making barely enough income to be comfortable but still struggle? Is your job okay but not inspiring? Are your relationships fine but not fueling your dreams? Most folks are living comfortably miserable. Don’t let that be you. Change your path now. Decide to accept nothing less than exactly what you want. Stand up, take a step, and repeat. The rest will work itself out. That’s a promise. What’s Your Big, Awesome, Motivating, Mission? Do you still dream of what you will be when you grow up? Do visions still keep popping into your head? Is there a mission that seems to be calling you? What’s your BIG - AWESOME - MOTIVATION - MISSION? What gives you pleasant dreams and a feeling of happiness? What scares, yet excites you? Stand up? Take a step? Repeat? There’s no need to wait. You can start right now. Really! Right now. The band may make the entire engine run and get mad respect. But very few people know the member's names. If your goals have you in a starring role, it's time to step up. If you are happier in a support position, accept who you are and become the best you can be. 3) Decide what future goals you are ready to ‘activate' and achieve. The Paradox of Choice. Are There Too Many? Do you have too many choices in your life? Is it confusing and making you feel distressed? In 2005, Barry Schwartz wrote Paradox of Choice and challenged traditional thinking. He said the way to maximum freedom in your life was to minimize choice. Too many choices are not a good thing and can create paralysis. Not to mention, no matter what you choose, you'll always wonder if you could have done better. 1) Limit your choices. Narrow your list to items you have already experienced. Having every option won't serve you. 2) Be sure to permit yourself to try other possibilities IF needed - but only after you've vetted your first. 3) Stay in your lane and keep it simple. Wouldn’t it be great if you had a plan to help you get what you want? Motivation - Everything begins with motivation and knowing ‘WHY’ you set your goals. Stay motivated. Accountability: Being accountable and accepting responsibility for your results will empower your success. Saying, ‘If it’s to be, it’s up to me’ is a great way to get started. Planning: Plan your work, work you plan. It’s simple. If you can’t plan it, you won’t be able to do it. Systemization: The first steps of any worthy goal are difficult. As you get more comfortable with your process, lock in the actions and repeat them until you get what you want. Sustainability: Everything takes longer than you think. Momentum is built in life by stacking your accomplishments sequentially. Make sure you set yourself up for the long haul. The freedom you desire rests on a stable and repeatable foundation. Motivation, Accountability, Planning, Systemization, and Sustainability. The quality of your life is a direct result of your relationships. Tony Robbins said that. Whether it’s a personal, professional, or business relationship. There are three ways to play the relationship game. There is only one way to win. 1) All relationships begin with two independent individuals. If you remain independent, you will never connect. 2) Some relationships become co-dependent. Developing this kind of relationship means losing individuality. Isn't that what attracted you in the first place? 3) The best way is to merge your skills, passions, and identity. The result will be an interdependent relationship. The strength of an individual. The power of a team. It doesn’t get any better than that. Would you like to be happy every day of the week? Maybe it’s time to start thinking like a happy person? There’s no magic to being happier. Rose colored glasses are not required. Just start looking at your day-to-day life the way a happy person does. 1) Accept that merely being alive means you will run into occasional challenges. 2) Realize that dealing with challenges is a privilege that comes with being alive. 3) Welcome frustration. That means that you are not satisfied and are beginning to make adjustments. 4) Accept responsibility for solving your challenges. Run forward and fix them as soon as possible. 5) Deal with everything that life throws at you. Get a great nights sleep. Have another great day tomorrow. It's amazing how that kind of mindset makes most challenges never show up in the first place. Do you wish you that you could find a mentor to help you along the way? Every mentor I’ve ever had has made a point of validating that I possessed three characteristics for success. 1) Do you have a burning desire to achieve your goal? 2) Are you a coachable person and prepared to accept the wisdom and guidance of others? 3) Do you have the willingness to undertake all actions to achieve your success? Wouldn’t you want this in someone that was asking for your help? Walk your talk. Talk your walk. That’s a great life. As we begin a new year, I have a question for you. What experiences will you have this year? Life is all about the experience. That requires planning, awareness, and setting expectations. As you go about setting and achieving your goals, be sure to pay attention to your focus. While you take action, shift your focus to the experience you desire. Life will be a lot more fun. Isn't that what goal setting is all about? Don't skip over the fun by jumping to the destination. Savor the journey in 2019. Changing something about your life is pretty straightforward. Figure out what you want and change it. Most folks fall on the way to their dreams because they don't move, move at the wrong time, or run too fast. That's why, once you know what you want, it's time to build your bridge. 1) Fortify your current foundation. Save money, pay bills, do whatever it takes to create a firm and peaceful base to build. 2) Begin constructing the foundation for your new life. Go to school, network, research, and plan. Do everything in your power to assure your success with no regret. 3) When you're ready, leave your past behind, cut off the old, and begin living your new life. Be patient. Wait until you are at least 70% ready to succeed before you cross to the other side. Success arrives when you move from a strong TODAY to a stronger TOMORROW. Don’t leap too soon, but don’t delay either. 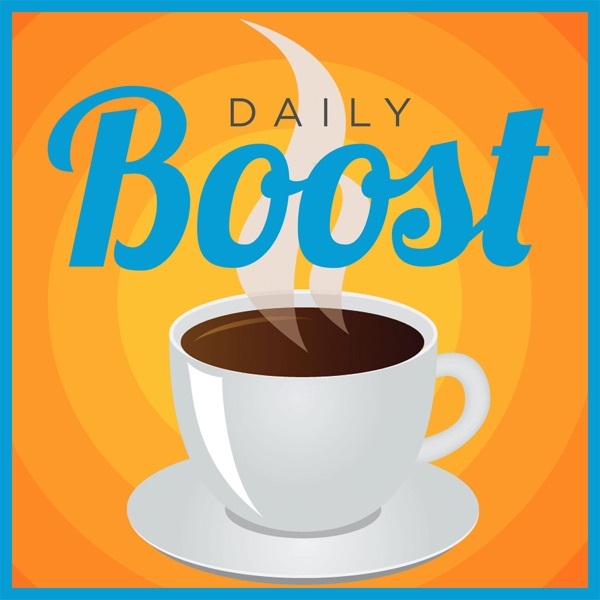 The Daily Boost produced five days a week to keep you moving toward your goals. The notes you are reading on this page are from today’s Daily Nugget - a shorter written form of the podcast that is sent via email every day at 5 AM Eastern. You can get additional Daily Boost episodes, The Daily Nugget, and more at https://motivationtomove.com. Have you allowed yourself to become the person you are on the inside? We all make decisions that change our life trajectory without much thought. That can lead feeling of being lost on you your life path. Maybe it's time to create a new way of seeing yourself? Using a Transitional Identity is a great way to feel confident when you can’t believe in your future. The trick is to focus on the smaller steps on the way to your destination. That will allow you to move away from who you are, yet not jump to who you want to be in one big step. Transitional Identities are temporary and ever-changing. They are useful when destinations are hard to see before you take your first step. 1) Know, understand, and practice living your Values at all times. While it's not always easy, you will feel happier and in control. 2) Be sure only to set Goals that allow you to practice your Values along the way. Doing otherwise is not being who you are. 3) Prepare for a shock wave from people who wonder why you won't do things their way anymore. And, get ready for the peace of mind you will begin to feel. Self-directing your life according to your inner-most thoughts is the ultimate power. How would you feel if every day, on average, was as you wanted? 1) Find a quiet spot and write a detailed description of your perfect day. Let your fantasies flow onto paper until you've mapped out morning until night. 2) Focus on your daily experiences, not material goods. In other words, if you want a sports car, focus on how you would feel in the driver seat. 3) Fight the urge to judge. The goal is to slow down, tap into your core, and get excited about what's possible. There is one last rule that you must follow. There are no limitations and no consequences. Let yourself be free to dream. You are going to be surprised at how many start coming true. With a new year upon us, it’s time crank up those 2019 goals - simple way. One of the easiest methods of achieving success is to stick to tried and true. That doesn’t mean you can’t move toward something more meaningful. It means that you forgo new knowledge and skill and leverage what you already understand. 1) You already have sufficient experience and wisdom. You will learn any new skill if, and only if needed. 2) You will choose the path of least resistance. The goal is to get the results you want in the fastest period. No distractions. No zig-zagging. 3) Overthinking burns too many brain calories. If you find yourself confused and stuck, accept that you may need to reevaluate your plan. Do it fast. Human nature will compel you to clutter your success journey with distraction. Seek the direct route to the results you want. It’s a no-brainer. Get additional Daily Boost episodes, The Daily Nugget, and more at https://motivationtomove.com.